Mah-Jong has been played in Britain since about 1920. The coordinator first played the game when she lived in Hong Kong in 1970. It is similar to playing rummy but with tiles instead of cards. It is the preliminaries which most people find difficult to grasp but the actual game is much easier. Once a better understanding is reached it is most enjoyable.. 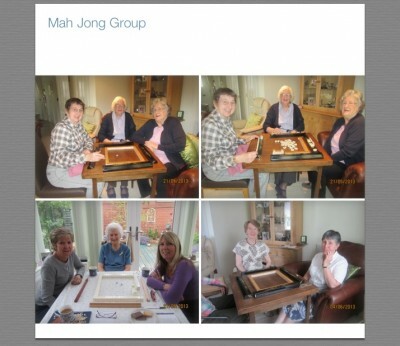 This is a house group which meet in Rode at 2.00 pm on the 1st and 3rd Tuesday of each month.